We had a little break from our #WCW last week because of my travel schedule, but I hope you enjoyed the recap. There has been lots of lovin’ and crushin’ goin’ on hasn’t there? Well guess what? Today you are in for a treat my friends. 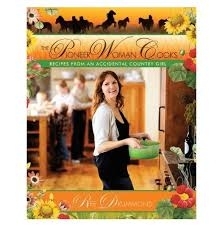 We are throwing our female foodie infatuation country style to none other than the Pioneer Woman! This beautiful red head embodies all that is great about America. She loves her family, her country and her kitchen. And we get to benefit from it. Whooo hoooo! Since Thanksgiving happens to be tomorrow, HELLO, and she is the go-to for all things turkey day, who better than to show us how to make the most incredible dessert to finish on a (sugar) high note! Y’ all know I have a massive sweet tooth, and I am uber fond of pumpkin, and not just this time of year! So while this tasty treat will be devoured today and tomorrow, I betcha I’ll be baking this baby all of the other 11 months of the calendar too. The great thing is you can use canned/tinned pumpkin puree. Sure you can roast a whole pumpkin and pop the flesh into a food processor. Totally fun DIY action! But let’s be real, when you have a sweet tooth raging you need it asap, and that’s why this recipe is da bomb! 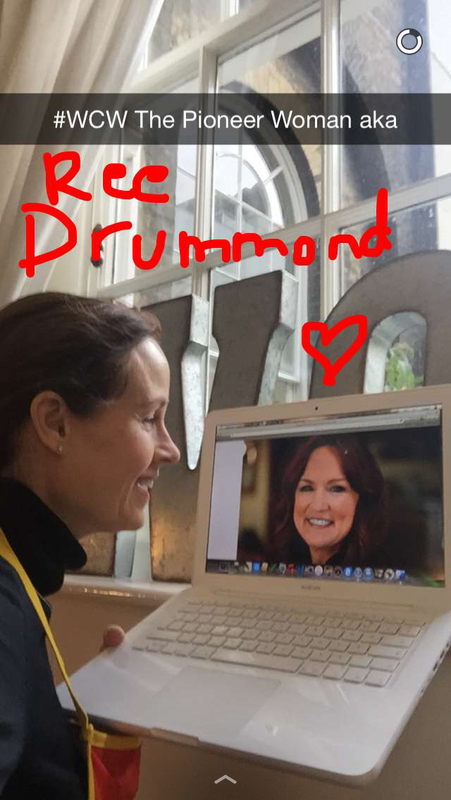 I’ve been following Ree Drummond for quite some time. With a fabulous blog/website she covers a lot of ground folks. 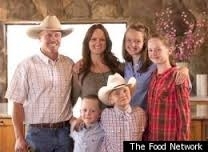 She is not only a fab cook for her family, but also the cowboys on her family’s Oklahoma cattle ranch. Pretty impressive for anyone, but especially Ree who was a total city girl wearing high heeled pumps and all before falling in love with her chaps wearing Marlboro Man. 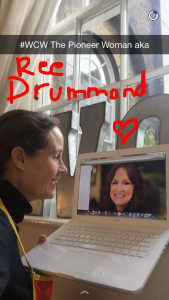 She also home schools her four kids, is an avid photographer, and a best selling writer. And not just cookbooks, which are awesome, but she writes children’s books too. Like I get tired just seeing all she gets done in half a day. But her unabashed and unapologetic love for butter might be a hint as to her secret superpower. In a world of glitz and gloss it is refreshing to witness someone so naturally gorgeous and genuine ascend into the galaxy of fame. She now has a popular Food Network show and her Thanksgiving Day special is visually delicious! While not super famous on this side of the pond, yet, I think her ginger hair will give her a leg up in my soul home Ireland! Her approachable recipes will endear her to the English and her wit and humor will give Europe the lift they need. I’m totally rooting for her! One of the things I love about her most is her strong faith. Nowadays people in the media have to keep it under wraps for fear of offending anyone. But like me, her faith is who she is, so it wouldn’t be authentic not to share it! God bless her! So without further ado, here is The Pioneer Woman, Ree Drummond’s perfectly autumnal feeling, but good the whole year long, Pumpkin Sheet Cake. 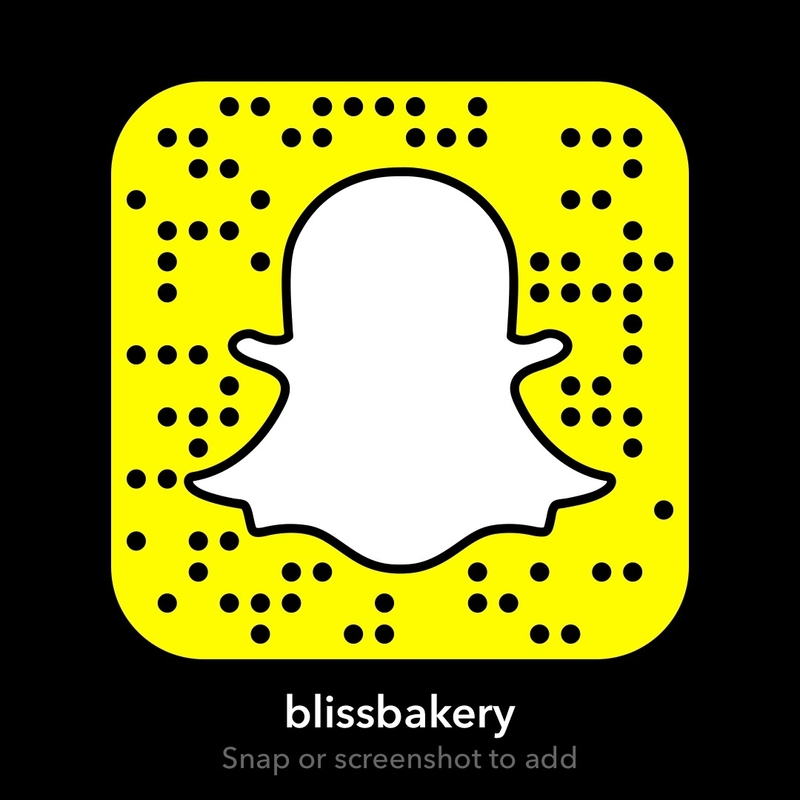 I’m sharing the tutorial on snapchat (username: blissbakery) if you want to check it out before it vanishes in 24 hours. But the great thing about The Pioneer Woman’s blog is that Ree does a step by step photo description to accompany her written recipe. Seriously I think she has eight arms but just hides them in her apron! Preheat oven to 350 degrees. Spray a sheet pan with baking spray and set aside. In a medium saucepan, melt 2 sticks butter. Whisk in pumpkin and pumpkin pie spice until it’s totally combined. Whisk in boiling water until mixture is smooth and combined. Set aside. In a measuring pitcher, combine buttermilk, eggs, baking soda, vanilla, and maple extract. 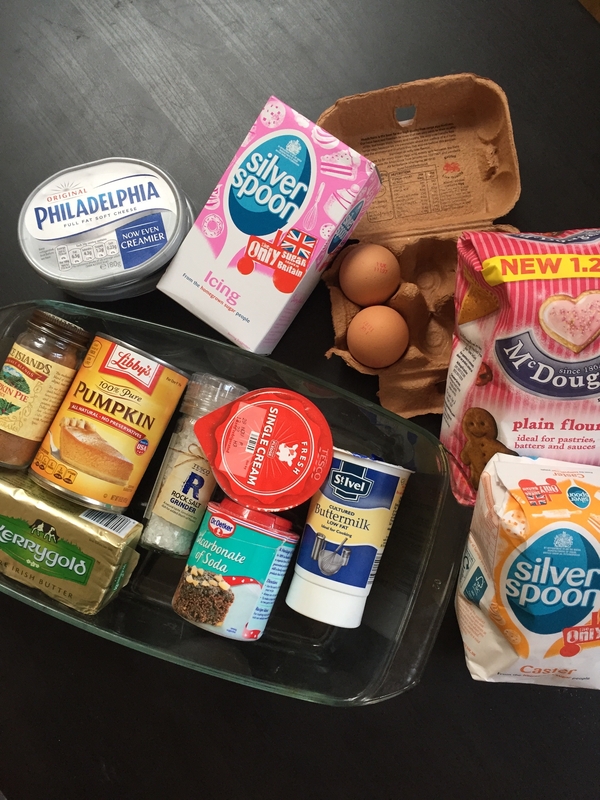 Whisk and set aside. In a large bowl, combine flour, sugar, and salt. Pour in the pumpkin mixture and stir until halfway combined. Pour in the buttermilk mixture and stir until combined. Pour into the pan and bake the cake for 20 minutes. Remove and allow to cool. To make the frosting, mix together the cream cheese, butter, powdered sugar, and salt until smooth. Add half and half and check the consistency. It should be somewhat thick but thin enough to spread in a thin layer. Spread the frosting all over the surface of the cake. Cut into squares and serve. Keep leftovers in the fridge, as frosting will get soft. NOTE: You may double the frosting amounts if you like a very thick layer of frosting! Since there are only two of us here at the moment, I actually cut the recipe in half. And since they don’t sell Half and Half here in the U.K. I substituted single cream. It turned out amazing and am so thrilled to have a new pumpkin recipe in my arsenal. Mostly, I am over the moon to have The Pioneer Woman as our Woman Crush Wednesday, I just wish it was more than one day. Maybe I should start a Woman Crush Week and do a recipe everyday! Thanks Ree for all that you do and all that you are. You are such an inspiration to me and so many others. Keep up the good work and keep the Faith! Hope you all have a great Thanksgiving! Next > Recipe: Happy Thanksgiving!